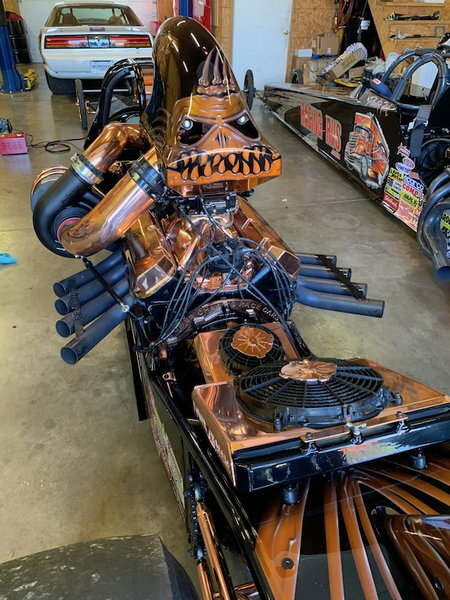 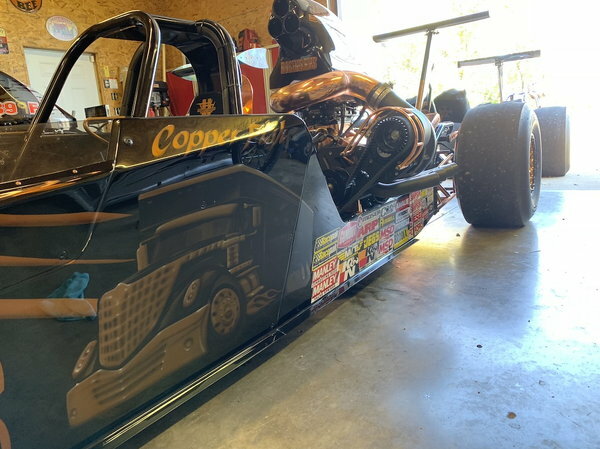 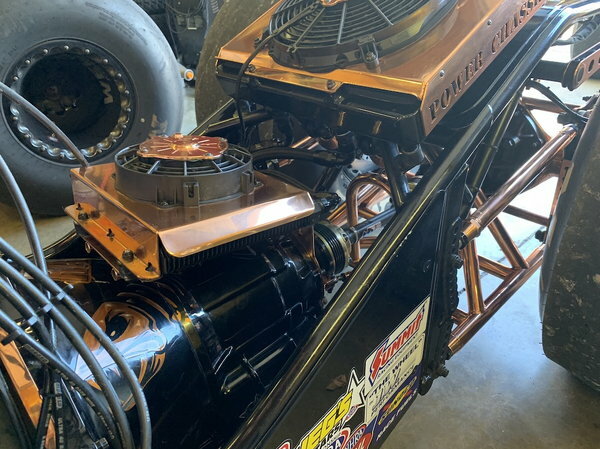 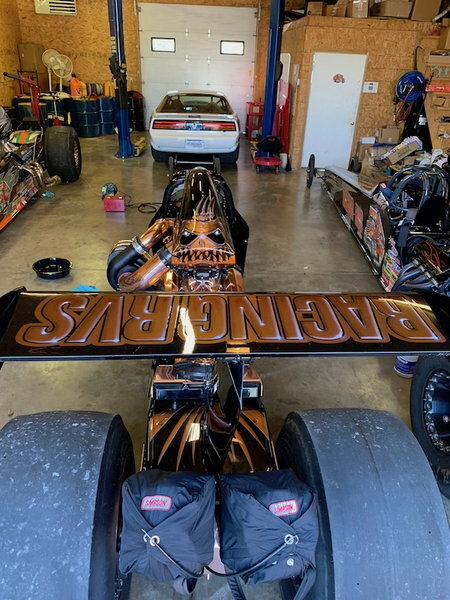 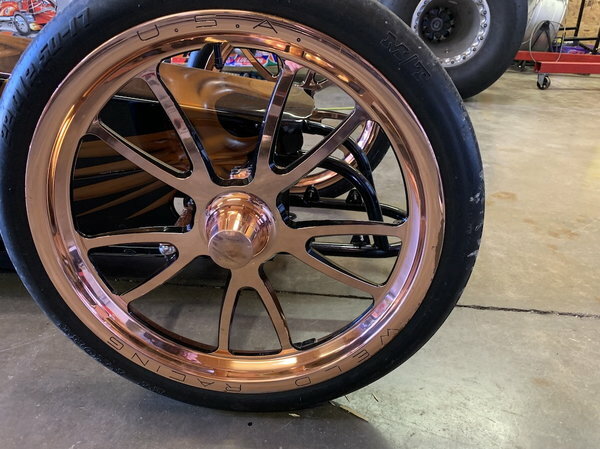 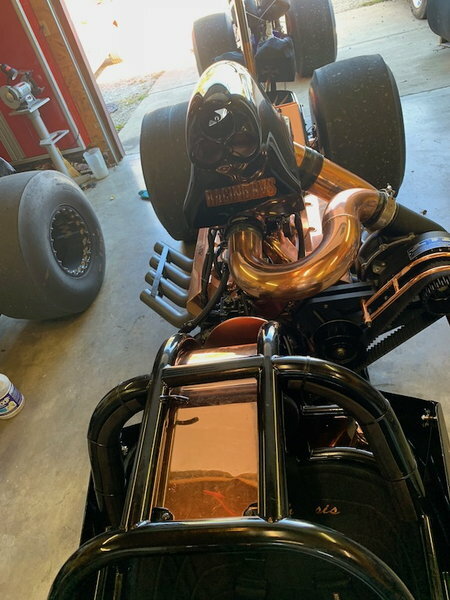 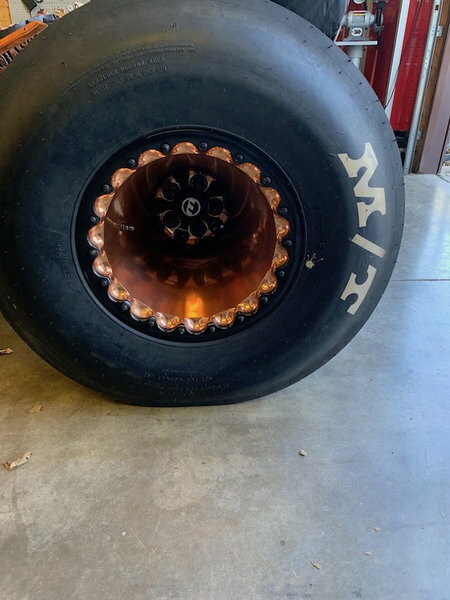 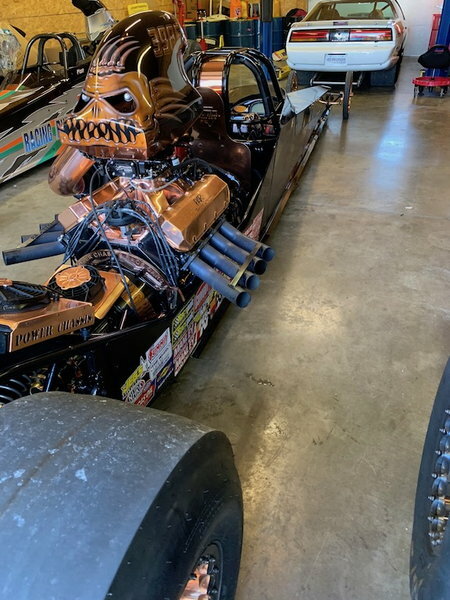 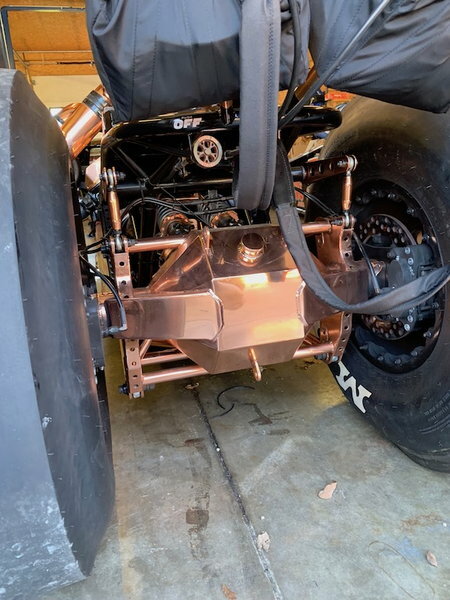 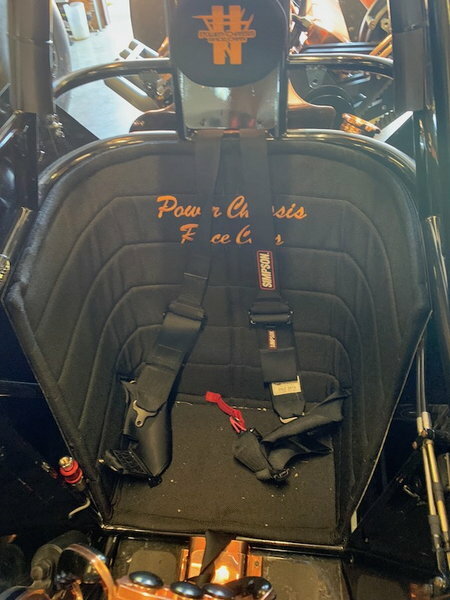 This 2018 power chassis dragster is one of the first of its kind. 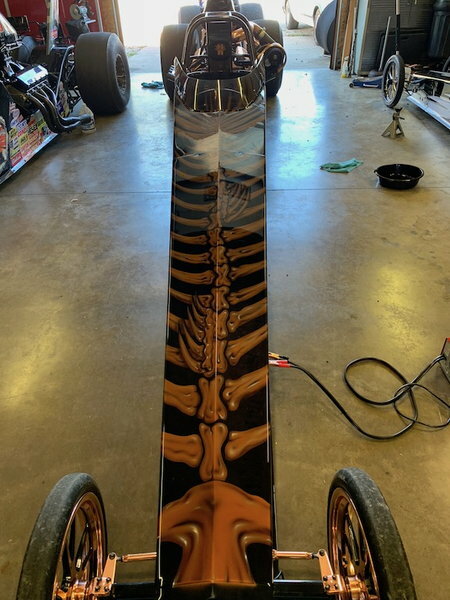 No other car has ever been built with as much detail as this one, from the front to back this car has more attention than a bone at a dog park. 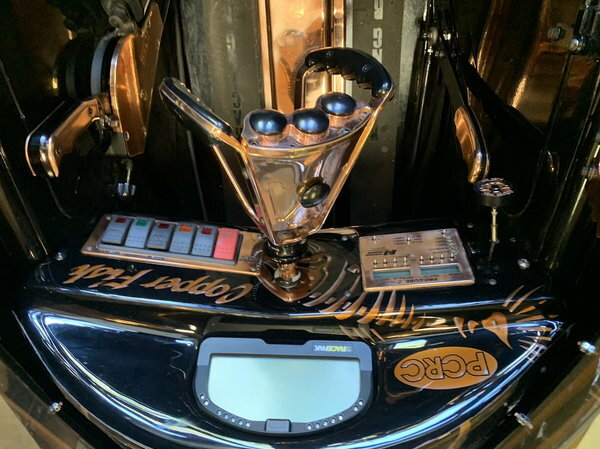 From the painted battery, coppered steering column, glove box and oil pan. 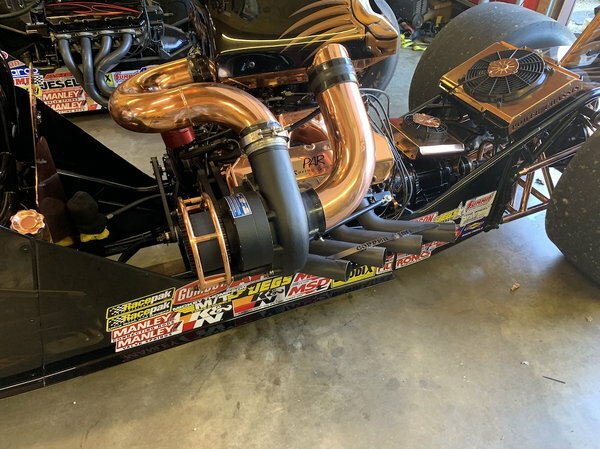 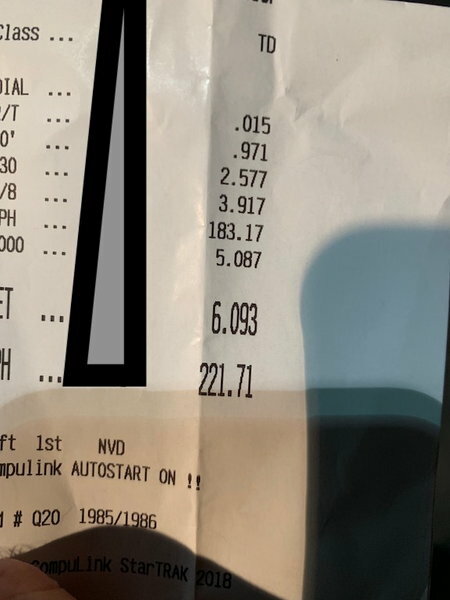 This car makes over 2000hp and has ran into the mid 6.0's with 4000 feet of air. 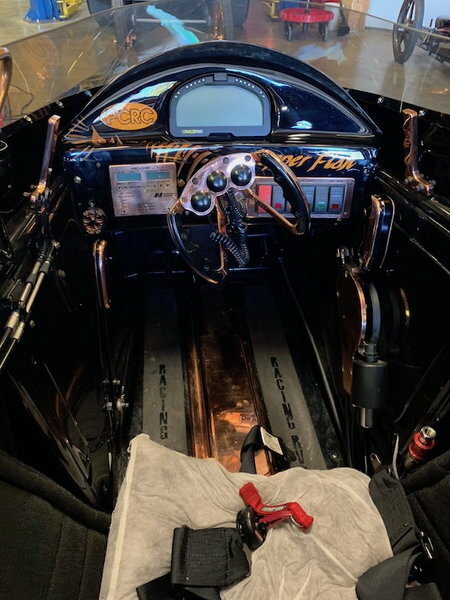 The transmission is a FTI power-glide and the converter has been made to make this car fly. 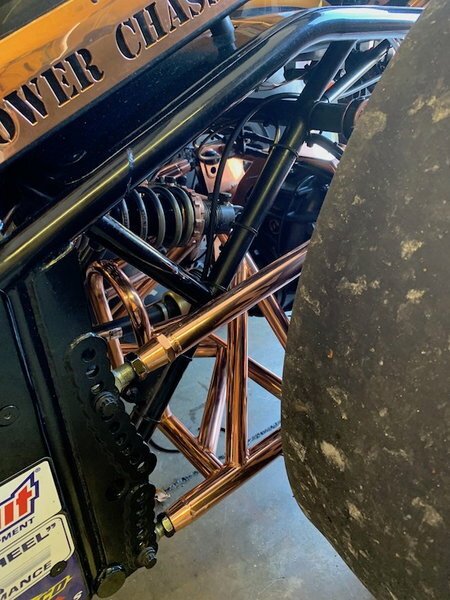 Goethe drive shaft, moser rear-end, weld Bead-lock wheels, and the ET board is in the WING!! 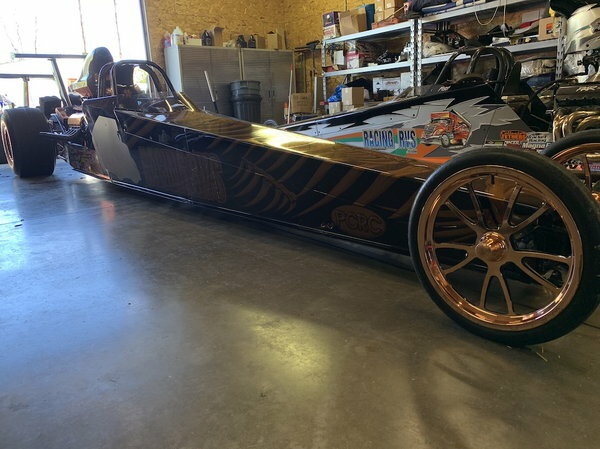 This car has made some heads turn and tried to spin the earth with a 0.971 60'.